(Christopher Maynard @ ConsumerAffairs) Back in October, after news had broken on Yahoo’s data breach of over 500 million accounts, Verizon executives said that it would need more information before the telecommunications company could close on its acquisition of the beleaguered company’s core internet business. Conflicting reports speculated that Verizon had even sought out a $1 billion discount on the deal. Then, things got much worse. Last month, Yahoo once again reported details of a massive data breach, this time affecting one billion user accounts. While Verizon said that it was still evaluating the situation, many experts said that the news was a death blow to the deal. However, nearly a month later, Verizon hasn’t halted the negotiations, and Yahoo is preparing its business for the next phase after a deal has been struck. The Wall Street Journal reports that the company will be changing the name of its remaining business to “Altaba” after the deal, paring down the number of board positions, and that CEO Marissa Mayer and co-founder David Flio will step down as directors. The new name is apparently a combination of the words “alternate” and “Alibaba” – a reference to Yahoo’s stake in Alibaba Group Holding Ltd, the parent company of the popular Chinese online marketplace Alibaba.com. Before announcing the name change in a regulatory filing, company officials had referred to the future business as RemainCo. The filing names board member Eric Brandt as the new chairman of Altaba after its formation, with four other directors continuing to assist him. However, that leaves out some notable names connected to the business. A total of six directors will be stepping down after the acquisition with Verizon goes through. Among them are current CEO Marissa Mayer, co-founder David Filo, and chairman Maynard Webb Jr., who was named chairman emeritus this past Monday. The other three directors who will step down include former pharmaceutical executive Jane Shaw and former media executives Eddy Hartenstein and Richard Hill. 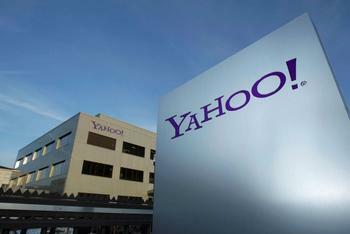 While many might think that selling off the core of its internet business would be a big hit to Altaba, experts point out that the Alibaba and Yahoo Japan assets make up most of the current company’s value; estimates designate the internet business as 10% of Yahoo’s market value, while the Alibaba shares and Yahoo Japan make up 63% and 13% of the company’s market value, respectively. However, while the new name and executive changes are being set up for the future, none of it may come to pass if Verizon does not accept the $4.8 billion acquisition deal. Because of the recent data breaches, Verizon still has room to renegotiate the deal or walk away from it entirely. If the latter happens, then Yahoo will have to go back to looking for another suitor, and it may be harder than ever given its recent misfortunes.